A closer view of the desert spiny lizard that shows the spines on its scales and the delightful splashes of color. 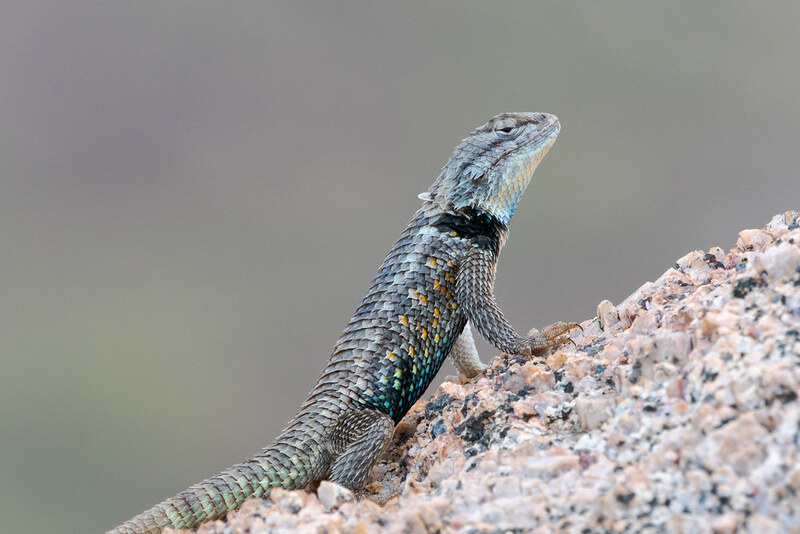 This entry was posted in Reptiles and tagged Arizona, Brown's Ranch, desert, desert spiny lizard, granite, lizard, McDowell Sonoran Preserve, rock, Rustler Trail, Scottsdale, Sonoran Desert. Bookmark the permalink.